shops and storybook cottages. From singing at former mayor Clint Eastwood's Mission Ranch piano bar with Dirty Harry himself to witnessing history at the 1771 Carmel Mission, the town delights in breaking its own stereotype. Mild but a bit chilly most of the year, especially the foggy summers, seaside pursuits include more hiking and bicycling than sunbathing. From May to December, nearby Point Lobos State Reserve offers a grounded whale-watching vantage point. Hotels range from good value in-town motels to spa and golf resorts in the vineyard-strewn Carmel Valley. Hundreds of local and chain shops feature antiques, jewelry, books, crafts, candy and clothes. Bay isn’t always perfect beach weather: be sure to have a windbreaker handy for the cool breezes and fog that often roll in off of the ocean. If you postpone your trip by a few months and visit during the off-season (November through April), you’ll have more space to take in the stunning scenery. January and February tend to be the rainiest months of the year in this region, so pack an umbrella and waterproof jacket just in case. My family had a wonderful time exploring the coastline. We rented a 4-seater surrey at Adventures by the Sea and rolled up and down the bike path that extends from Pacific Grove to Fisherman’s Wharf. 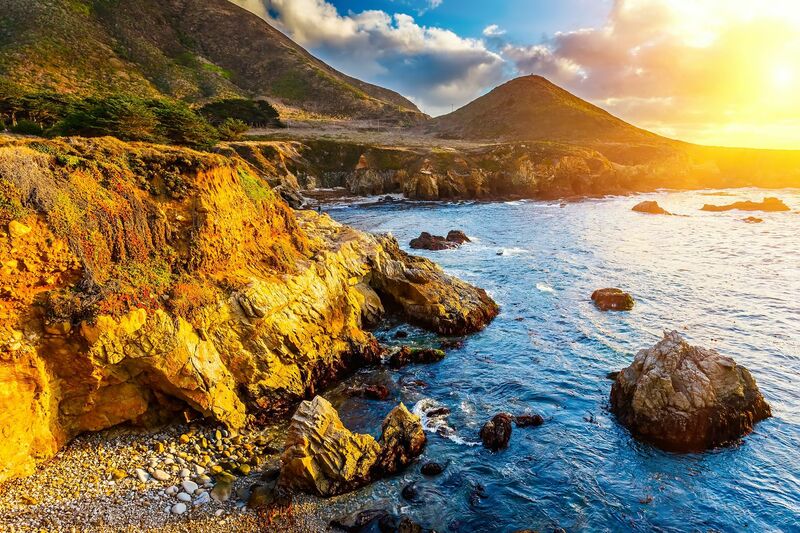 For the sheer beauty of the California coastline you should spend time in Carmel. Take the scenic walk along the ocean, especially in the morning when you greet the locals, see the dolphins playing, and be charmed by the architectural styles of the lucky ones who live there. So much to do, eat, drink, shop, golf, and hike. Put it on your list! Beautiful little town with upscale restaurants, art galleries, and plenty of scenery. I love a weekend getaway to Monterey / Carmel area. Usually stay in Monterey town itself or in Carmel to relax on a summer weekend. A lovely sleepy little region with gentle rolling hills, wineries, and the start of the "Slow Coast" - perfect for camping in the hills and frolicking on the beach during the day. Plus, it's only about an hour's drive to Santa Cruz. Art lovers & shoppers love to stroll down Ocean Avenue and at the end is four beautiful beach!! Great restaurants & coffee shops as well. From shopping to trendsetting restaurants, Carmel is a one of kind town - just a short drive away.